ENE is one of the leading stevedores contractors registered and operating at Abu Dhabi Port Company Terminals (ADPC) at Mina Zayed, Mussaffah Port and Free Port .For more than fourteen years ENE has been handling all kinds of cargo, RO/RO and bulk, as well as all kind of containers discharging loading, stripping, stuffing, lashing, loading, unloading and delivery. Our clientele includes almost all reputed shipping companies, shipping agencies, government and semi-government undertakings, we have built during the years a technically solid infrastructure based on sound financial viabilities. It is needless to state that under the present economic conditions stevedoring profession requires a combination of skill and efficiency. 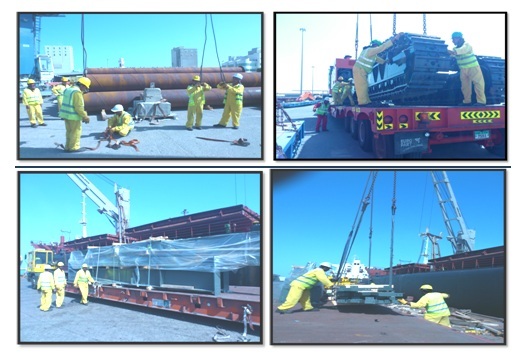 To substantiate we would like to state that we have our own team or technically qualified and experienced professionals and skilled labours and we are fully geared to undertake any contract of stevedoring and cargo handling of all sorts of vessels.